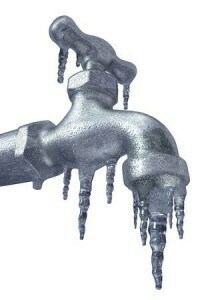 Home · Property Management · Landlord Quick Tips : Landlord Hank: Tenants Have Frozen Pipes Who Pays To Fix? Where did the freeze occur and could it have been avoided if tenants kept the heat on and water dripping with cabinet doors open (so warm air can circulate more easily to pipes under sinks)? Make sure tenants are aware of freezing weather and put notes on doors with instructions to keep the heat on, drip water and keep kitchen base cabinet and vanity cabinet door open. In my opinion, if tenants should have known of the potential for freezing pipes and how to handle this situation and chose not to do so or did so inadequately, then they should bear the cost of repair.